Matchbook cards or mini-albums are easy to personalize in many ways. That's why I really love this set. 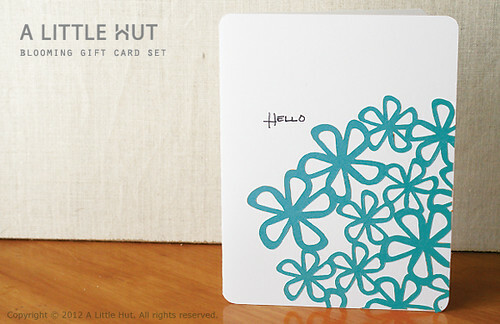 The Blooming Gift Card Set can be used to give a personal and feminine touch to a retailer's gift card or to simply use as a mini-album with photos or artwork. This particular size can fit into an A2 envelope. 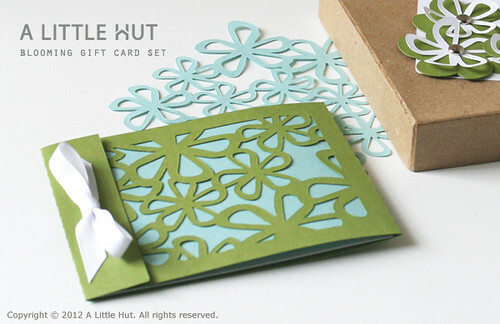 This set also includes a card, envelope, envelope liner, tag, flowers and a lattice background. 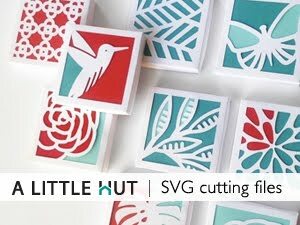 The pieces can all be used individually or as a festive floral gift. I can't wait to make another one myself. I hope you enjoy working with it too!